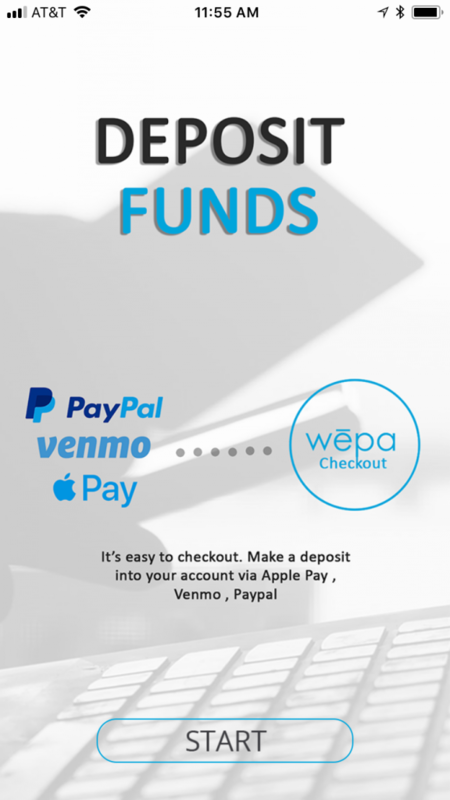 For accounts that wēpa manages, the wēpa account password can be changed at the wēpa website or mobile app (Android | iOS). Upload documents from an Android device by using the Android Mobile App. Download the Android App from the Google Play Store by searching ‘wēpa print‘. Note: If no results appear, the Android Mobile App is not supported on device. Use the Email-To-Print service to upload documents. Upload documents from iPhone or iPad using the iOS Mobile App or Email-To-Print service. Download the iOS App from the Apple iTunes App Store by searching ‘wepa print‘. Note: If no results appear, the iOS App is not supported on device. Use the Email-To-Print service to upload documents. An application update for Android 4.4 will be released in the near future that will remedy this issue. If your files fail to display on your Android device you may use a third party file manager to select your files or simply use the Email-to-Print feature. More information about Email-to-Print may be found here.